Allow me to introduce myself. My name is Jeff Charlton. Maybe you haven’t heard of me before but trust me, once you read this you’ll be glad you did. I have worked in the direct mail industry for over a decade. I have helped countless Real Estate agents succeed by creating winning real estate postcard marketing campaigns. Are you one of the millions of people struggling to get your real estate marketing campaign off the ground? Are you interested in learning how to create a successful postcard marketing campaign from the ground up, even with little or no experience in postcard marketing? 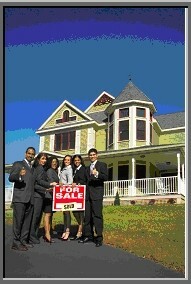 One of the first things I discuss with real estate agents is they type of marketing campaign they are currently doing. Typically they pull out some old postcards they mailed out once or twice a year ago. They are copies of each other without making an offer or a call to action. What I’ve noticed over the years is most real estate agents are frustrated. They feel frustrated because most real estate postcard marketing campaigns fail. Why would you want to get in on a business that fails? Most postcard marketing campaigns fail because the real estate agents behind them don’t take the time needed to learn how to perform a successful real estate marketing campaign. When done correctly, a real estate marketing campaign can achieve outstanding results. They copy other real estate postcards without understanding what makes them work. Their postcards receive mediocre response rates because they are carbon copies of everyone else’s real estate postcard campaigns. Response times are generally slow, so most realtors give up before their campaigns ever really get started. You can avoid the failure other real estate agents experience by following a few key real estate postcard strategies. Here’s how. You can save time, your hard earned money and energy by shortening your learning curve and discovering what successful real estate postcards are made of. How do you do that? 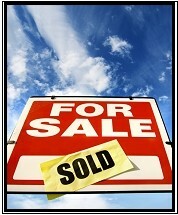 There is a learning curve involved with creating successful real estate marketing campaigns. I’ve done the work for you so you don’t have to. What I’ve done is compile all the information you need in one easy-to-find and comprehend place. Learn how you can use real estate postcard strategies to attract a wider audience and tap into a larger market…. If you think you are going to stay in front of your prospects through personal contacts alone, you are doomed to fail. Successful real estate marketing agents know personal contact alone is limiting and time consuming. Mass marketing campaigns are extremely expensive and cost-prohibitive. The best way to stay in front of clients and win them over time and time again is through a real estate postcard marketing campaign. Plain and simple. Now there is a simple way you can learn how. For a limited time I am able to offer this guide for the low introductory price of just $35.97. For your tiny investment, you’ll receive your copy of the one-of-a-kind real estate postcard-marketing guides out there. Learn how to reach out to your farm using proven techniques, and by designing the best real estate marketing postcards known to man. That’s not all. As a thank you for placing your faith in me, I’m going to go one step further and offer you even more. Order in the next 24 hours and we’ll throw in two free bonus reports. There’s no catch, there’s no risk. 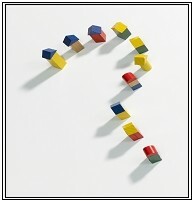 Over the last 10 year’s I’ve compiled hundreds of questions from other real estate agents. Some have to do with postcard marketing specifically, while others have to do with marketing in general. The number one way to connect with your audience? How to design a winning postcard effortlessly? Where to find quality printers to work with when creating your postcards? Here you’ll find a list of questions and answers to some of the most commonly asked questions about real estate marketing and postcard marketing, in one convenient location. You could spend hours surfing the net for answers, or take advantage of this free guide! Learn what it takes to create a customer driven campaign. Whether engaging in postcard marketing or any other direct mail campaign, learn how to entice your customer right from the start, the right way. Many real estate agents fail for the simple reason they do not understand how to entice their customer. They focus on trivial matters, matters than may drive a customer away. What your customer’s needs are. What benefits you can provide them. What distinguishes your service from all the others. Our bonus guide can help you create a dynamic real estate postcard marketing campaign that focuses on your customer. Learn how to use word of mouth advertising to complement your postcard marketing campaign and skyrocket your client base. Are you tired of struggling with your postcard campaign? Then stop struggling and learn how to create a winning campaign from the ground up, in just a few simple steps. You can shorten your learning curve, save time and save money by investing in Real Estate Post Card Marketing’s Best Kept Secrets. When you do, you’ll gain access to more than a decade’s worth of experience in the real estate industry. Don’t ask yourself if you can afford to invest in this guide. You can’t afford not too. If you are struggling to get your campaign off the ground, now is the time to act. I beg you to act now and start realizing results… immediately! Copy our winning tactics and strategies and skyrocket your postcard marketing campaign to the edges of the earth. P.S. – Don’t forget to order your copy in the next 24 hours to receive your two free bonus guides, Real Estate’s FAQ and The Secrets Behind Customer Driven Marketing. Click Here to place your order. In just two minutes you can download your copy of our dynamic guide and start changing your life in a positive way forever. P.P.S. – Are you insane? What are you waiting for? Act now before it’s too late. Remember Real Estate Postcard Marketing’s Best Kept Secrets contains over 100 pages of useful information and sample postcard you can use to help jumpstart your campaign. Go from ordinary to amazing. Learn how to do it right the first time. Click Here To Download Your Digital Copy Today!